The brand on everyone’s lips? Yves Saint Laurent. An invitation to explore, Escentual welcomes you to immerse yourself in their world of daring beauty, as you can now shop all of your favourite YSL makeup and skincare with us! From the iconic Touche Eclat right through to the definitive Black Opium perfume, here we get to know 8 of YSL’s ultimate favourites. Spot something you like? Let us know what you love over on Twitter! If we’re talking about beauty icons, Touche Eclat will always be called out as one of the most legendary makeup items in the market. Famed for its superior brightening abilities, this modern day must-have is adored by both women and men worldwide. You can use YSL Touche Eclat anywhere. Use it to highlight skin, brighten your smile lines and even enhance the polish of your manicure by brushing the radiant concealer onto your cuticle beds. The breakout YSL All Hours Foundation has everyone raving. 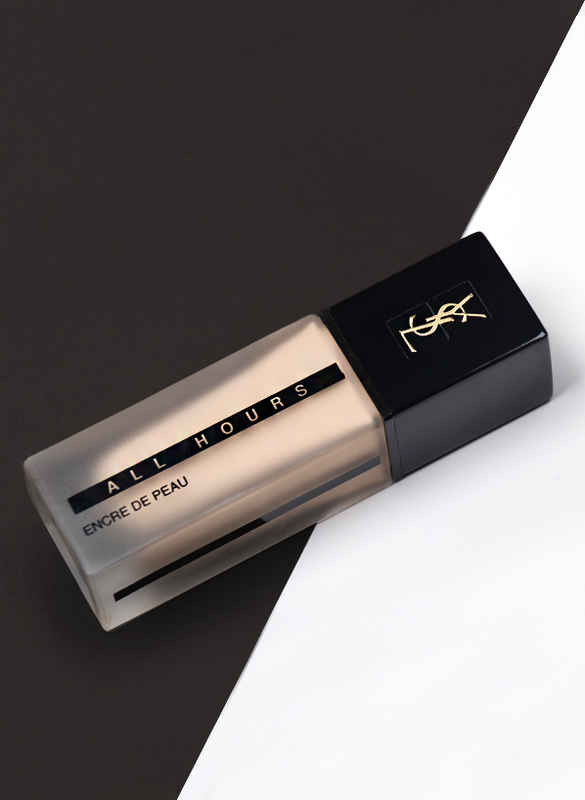 Loved for its full coverage texture and matte finish, All Hours is the base you need to know about. If you have problems with your foundation staying put, this pigment-rich oil-free formula blends seamlessly into skin, creating a flawless canvas that looks picture perfect and free from imperfections for up to 24 hours. Now, this is what you call a coveted lipstick. 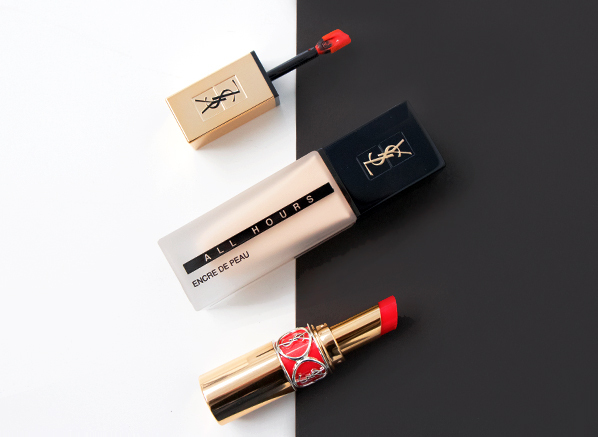 Stunning inside and out, this conditioning lip colour is the ultimate accessory for all YSL lovers. Truly awe-inspiring, the Oil in Stick Lipstick feels like a balm, but looks like a lipstick. Its deeply moisturising formula is made up of 60% oils to keep your lips looking plumped, hydrated and completely kissable. 45 Rouge Tuxedo is a demure cherry red that looks super glamorous once applied. When you pair that knock-out shade with the gorgeous, ornate design of the lipstick packaging, Volupte Shine is a purchase that will drive beauty lovers wild. We’ve heard that some people even keep the YSL ring and put it on a necklace when the lipstick is finished! The Top Secrets Setting Spray lets you forget about the fact that your makeup isn’t built to last. Its fine moisturising mist keeps your base held in place whilst improving the hydration levels in your skin with the molecule of the moment, hyaluronic acid. This YSL accessory won’t just lock your look in for makeup look for longer. Its radiance-boosting formula makes your skin glow, with or without makeup – you know it’s a must-have when you read the exceptional reviews that are everywhere online. When it comes to mascara, YSL beauty has a strong history of creating amazing mascaras. Their most popular choice? Volume Effet Faux Cils. 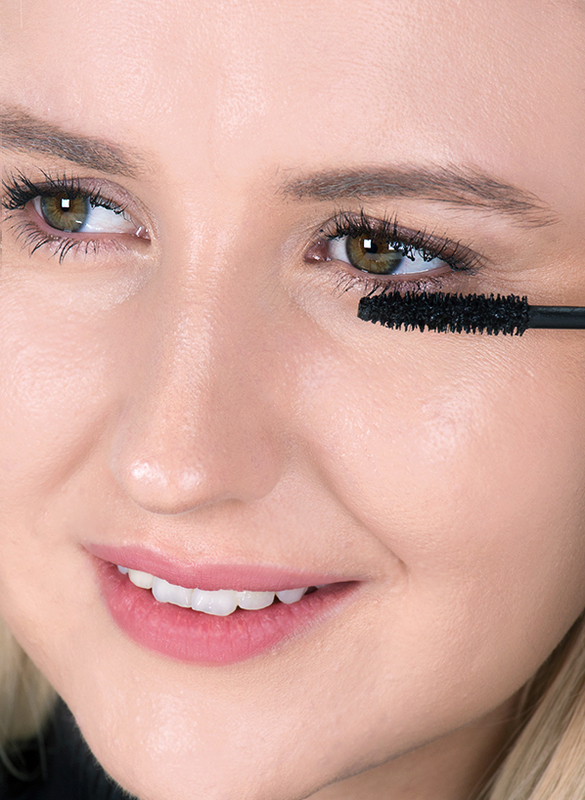 Thanks to its innovative wand (the fiber bristles are all different lengths to catch each individual lash), this lash-boosting formula makes it easy to achieve full, fat lashes without a clumpy finish. This gentle but effective mascara also cares for your lashes with its nourishing oil blend. Offering your lashes complete care and voluptuous volume, there’s nothing not to love about Volume Effet Faux Cils. 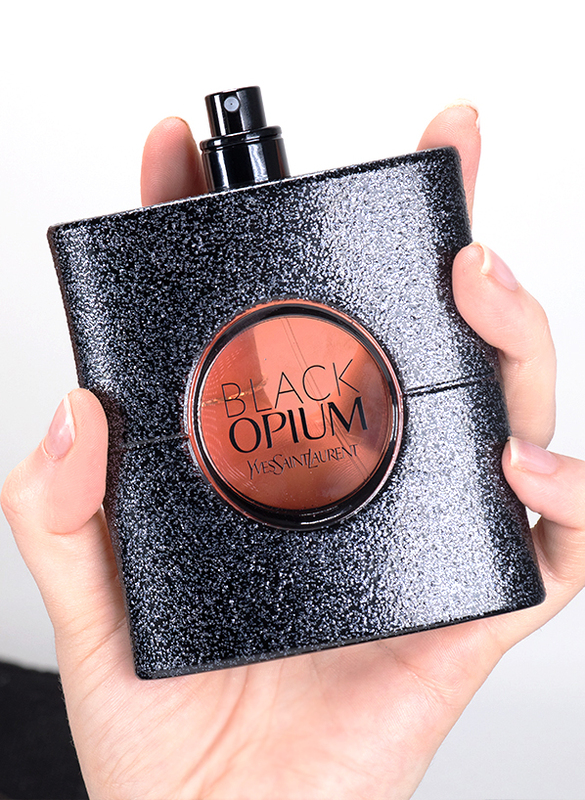 Launched as an edgy statement scent and now a timeless fragrance icon, Black Opium is the most popular YSL fragrance to date. Overtaking the classics such as Opium and Heritage, this creamy fruity floral scent is a fragrance everyone loves to smell. Pioneering the Black Coffee Accord, this aromatic fragrance note is what makes Black Opium so distinguished and unique. In keeping with YSL’s statement of style, the hedonistic vision of the Black Opium woman is captured within the contrasting fragrance composition of creamy and sweet nuances. If you love the ‘no makeup makeup’ look, the fresh finish of YSL’s All-In-One Glow Foundation will be your dream come true. 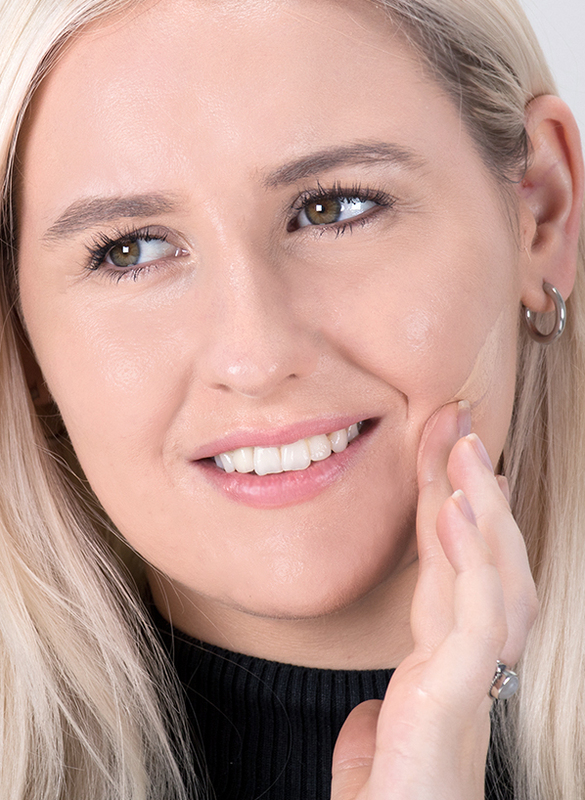 Perfect for those that like to be out of the door in next to no time, this primer, highlighter and foundation hybrid lets you put your best face forward without spending too much time blending. What’s special about the Touche Eclat All-In-One Glow Foundation is its effortless ability to make your skin glow. The dewy finish builds beautifully to create radiant light to medium coverage that never fails to look healthy, even when you’re having a bad skin day. There’s so much to love about the Tatouage Couture Matte Lip Stain. Let me start by talking you through the velveteen finish; just like velour on the lips, Tatouage Couture never looks dry, only soft, supple and completely beautiful for up to 8 hours. 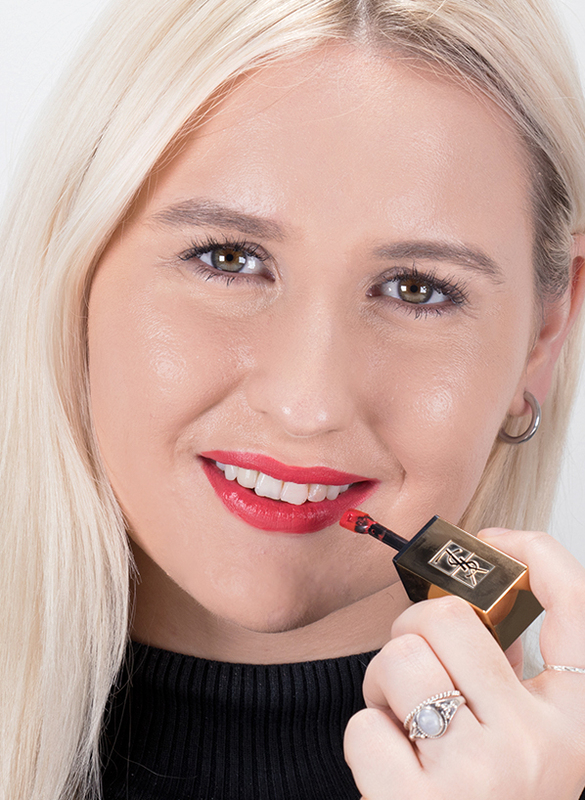 If you avoid bright lipsticks due to the messiness of application, the perfectly shaped applicator of the YSL matte lip stain has an angled wand to improve precision. It’s a dream to apply, and a must for every matte lip lover! Here we’ve applied the shade 13 True Orange, which is a favourite of our customers because of its unique coral undertone. If you like your reds warm and inviting, True Orange is definitely your new favourite shade. This entry was posted on Thursday, November 8th, 2018 at 11:17 am and is filed under Essentials, Fragrance, Make-up, Spotlight On, Swatches, Tried & Tested. You can follow any responses to this entry through the RSS 2.0 feed. You can skip to the end and leave a response. Pinging is currently not allowed.